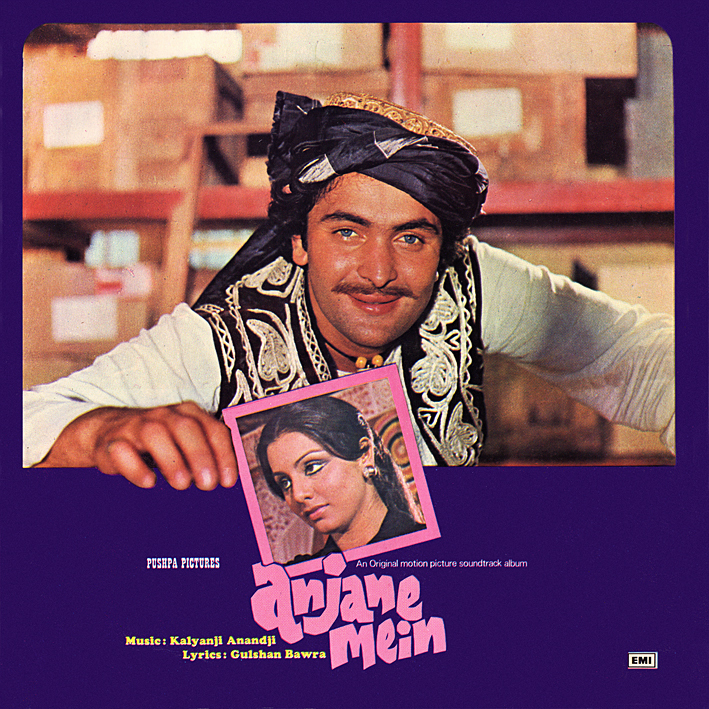 For some reason, I never used to rate 'Anjane Mein' much; however listening to it now I'm thinking it's kind of alright. Both 'O Meri Jaan' and 'Gayi Kaam Se Yeh Ladki' have loads of neat instrumental bits (the singing parts leave me cold though); a nifty mix of east and west. 'Sachchai Ki Ra Men' and 'Jeevan Ke Sab Sukh Paye Too' are typically lovely Lata ballads and 'Dil Ka Rishta Jod Diya Hai' is bouncy pop with a groovy beat. The title track begins like a 60s cop show theme before heading off in a variety of directions; excellent stuff. Anything that includes Title Music and Cabaret Dance Music is okay with me :D Thanks PC! Thanks, PC! Nice write-up...looking forward to hearing this! Having now heard the Charanjit Singh album in its entirety, I would recommend it wholeheartedly, it's terrific! Get it from Bombay Connection Records. Hi, no it seems to be working fine, I just checked. And regarding reposting in general, see top left sidebar.